Avg sends out an annoying pop-up to its Free Edition Clients. The rep said at first he didn’t know of a pop-up, but then went to check his email. but they are in the business to make money and this would help their sales. and the pop-up should stop. This may also depending on how many times you restart the machine. The Good news is that this advertisment is suppose to stop after the first week of August. The Bad news is that they will most likely do something like this again in the future. 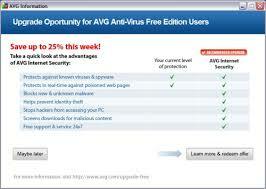 Well, first off I think Avg is still hands down the best free Anti-virus software out there. paid version for $54 bucks. 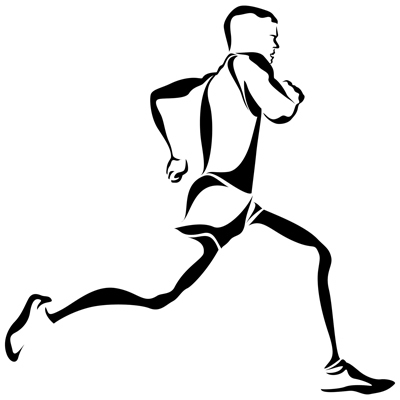 Outlook Express was working just fine and then you upgraded Microsoft Office to 2007. 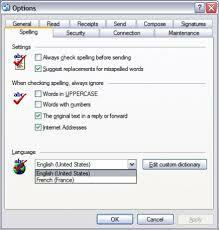 Now when you run spell check in Outlook Express everything it suggest is in French. Office 2007 installs some language files that are incompatible with Outlook Express. Even if you uninstall Office 2007 it does not restore your old language files so that’s no help. Microsoft acknowledges this in KB932974 and the only recourse they offer is to install a third party spell checker. So, let me explain how to load this thrid party tool. Any way here’s the fix with the trid party tools. If you open Outlook Express then click on Tools drop down menu and click on Options you get this screen. Click on the Spelling Tab at the top left. As you can see here French is your only option. Go here http://www.majorgeeks.com/download.php?det=2952 to download the free tool (spell.exe) that will fix this issue and import in the English Language. Once on this site you want to click on MajorGeeks Text right under the Word Downloads in the middle of the page. Then you come to this screen which you have to wait at before the Download file appers to be downloaded. 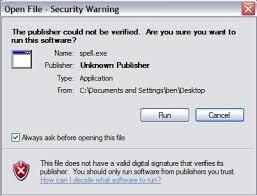 Click Run on the Open File -Security Warning Screen. Click Next at the Welcome screen. Click Next at the Information Screen. Click Next at the Directory Screen. Click Start at the Confirmation Screen. Click Exit at the End Screen. 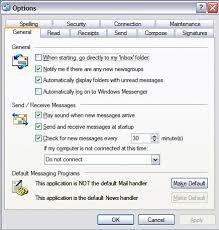 Open back up Outlook Express and Go to Tools/Options/Spelling just like we did before and click on the drop down arrow. Now you have English back. KiserComputerConsulting, LLC© 2015. All rights reserved.